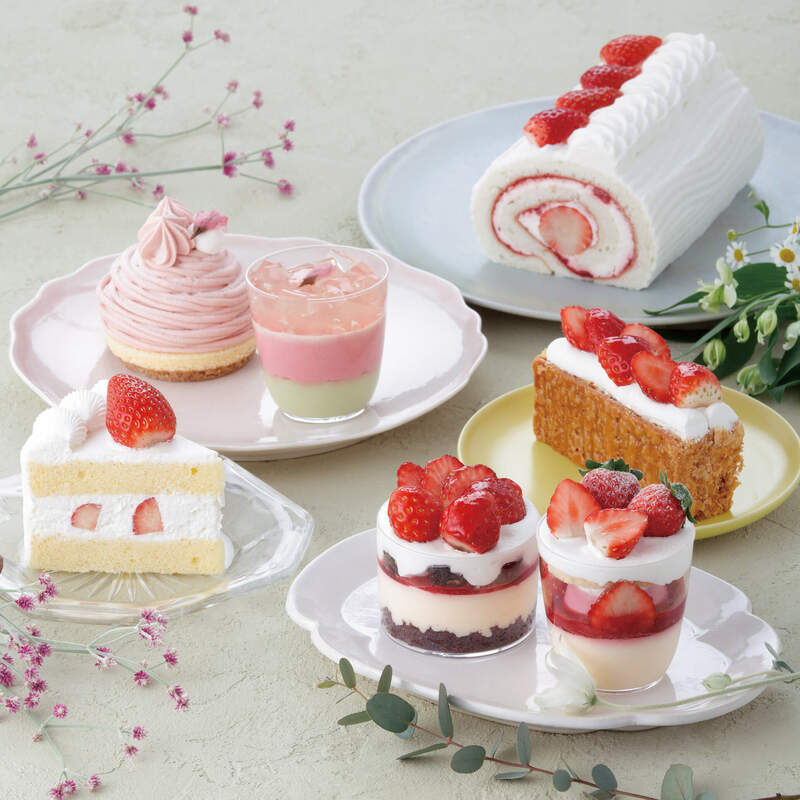 “Patisserie Kihachi” shops, excluding some, will sell cherry blossom desserts and strawberry desserts such as strawberry roll cake/tiramisu from the 28th of February (Wed.) for a limited time offer. This sweets item is a cherry-blossom-colored Mont Blanc with a smooth butter cream with the scent of cherry blossoms. This is placed on top of a milk mousse made with white bean-jam. 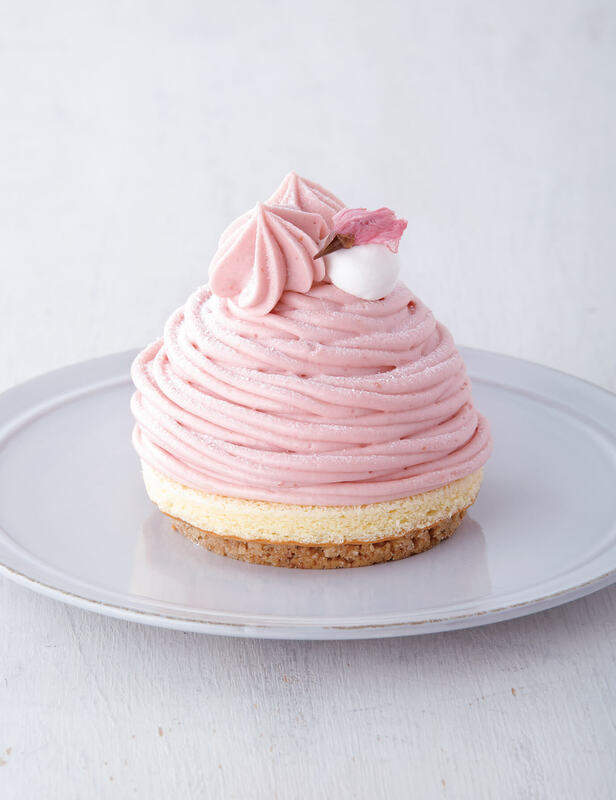 A jelly made with Japanese plum and strawberry is stuffed inside the milk mousse, adding a slight sourness to this sweets item. A crunchy streusel made of whole-grain is added and it has the scent of cherry blossom leaves. Cream that looks like cherry-blossom petals and salt-preserved cherry blossom petals are decorated on top of the item. Don’t miss this special cherry blossom dessert! This is a layered verinne representing cherry-blossom petals and leaves. 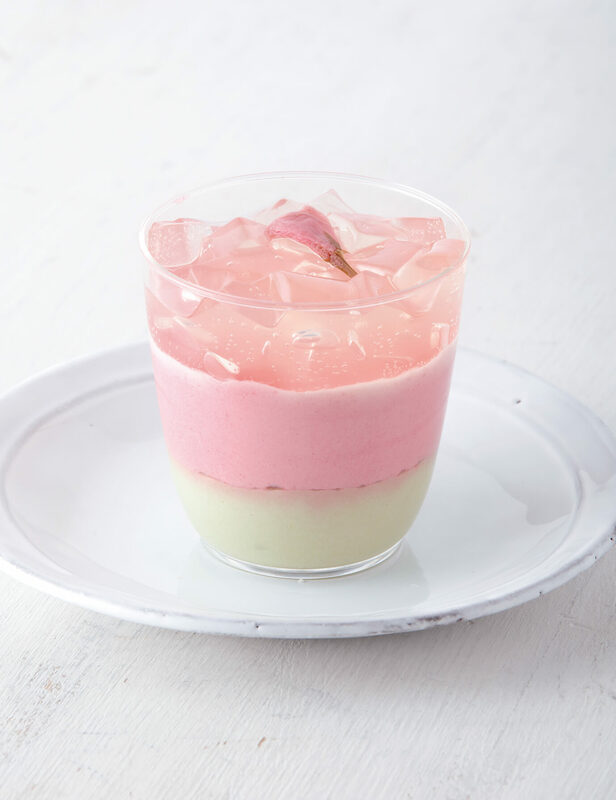 There are three layers which are, pistachio’s mousse, cherry mousse using cherry blossom petals and salt-preserved cherry blossom leaves and white wine jelly which has the scent of cherry blossoms. Salt-preserved cherry blossom petals are decorated on top of the product. 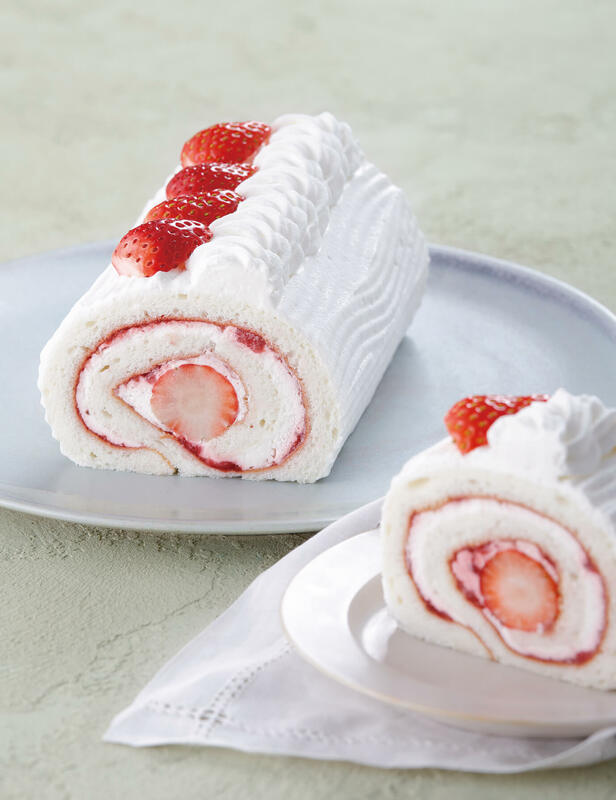 In this item, sweet/sour strawberry and raspberry jam, one whole strawberry and thick fresh cream including mascarpone are all wrapped in a soft chiffon cake. 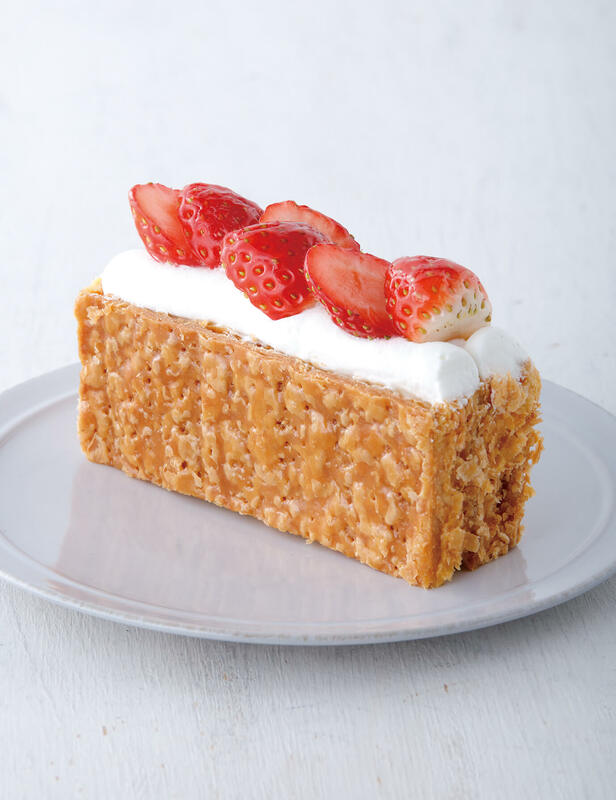 The dough of the chiffon cake is made with special eggs where the egg yolk turns white when heated so as to highlight the strawberries’ vivid red color. This item is an “adult-flavored” tiramisu using sweet/sour strawberries, bitter coffee and whisky. 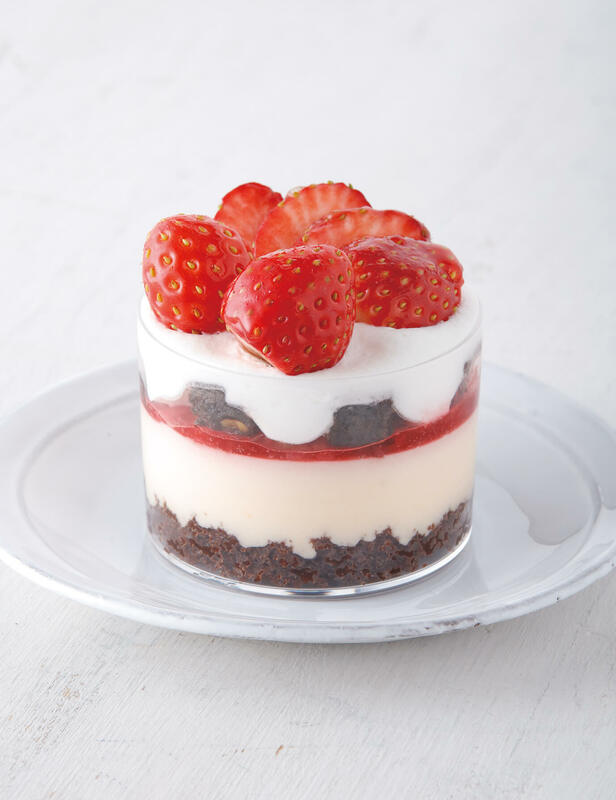 The layers consist of chocolate dough marinated in coffee syrup which includes whisky, mascarpone mousse, strawberry jelly which has the scent of whisky and cocoa biscuit including almonds and cashew nuts. A Napoleon pie which is popular in Kihachi’s restaurants. The pie has many layers and therefore it has a crunchy texture. Thick custard cream is sandwiched, and fresh cream / and sweet/sour strawberries are used. The surface of the pie is coated with caramel so that the crunchy texture can be enjoyed. In addition to the sweets items noted above, they are planning to sell many special desserts. Why not buy their products as a gift for a cherry-blossom-viewing party or as a souvenir.